Since JMeter version 2.10, there is an increased occurrence of NoHttpResponseException error. Due to this error, JMeter sometimes returns the dreaded ‘Target Server Failed to Respond’ message. 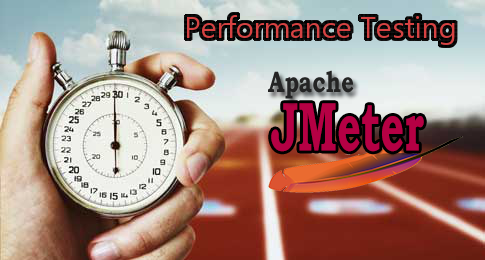 In this tutorial we will list out some simple steps to troubleshoot JMeter Target Server Failed to Respond error. Below are some simple steps you can take to prevent this error from happening. Enabling Retry: Navigate to JMeter installation’s bin directory. Edit jmeter.properties file. Uncomment httpclient4.retrycount property by removing # sign before it and set its value to 1. Apply the same changes to httpclient3.retrycount property as well. Depending on your JMeter version, these parameters may be located in user.properties file of JMeter installation. Enabling Stale Check: Uncomment hc.parameters.file=hc.parameters property in jmeter.properties file and save it. Now, open httpclient.parameters file and set http.connection.stalecheck$Boolean=true. Depending on your JMeter version, httpclient.parameters file may be there in your JMeter installation as hc.parameters. Disable KeepAlive: If above two steps didn’t work for you, try unchecking ‘Use KeepAlive’ flag of your HTTP requests. This is because your web application server may be failing to send the KeepAlive header. Upon not finding it, JMeter may be throwing an error. We hope the above steps helped you in resolving the JMeter Target Server Failed to Respond Error. Let us know if it works for you or let us know if you have any other solution for this error.